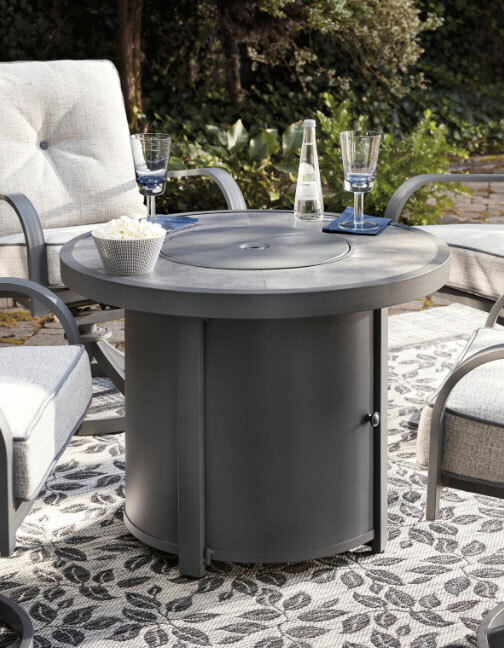 Donnalee Bay outdoor collection features textured gray finish on a rust free aluminum frame with high performance Nuvella fabric. Choose from 2 pieces or 5 pieces set for your favorite patio area. 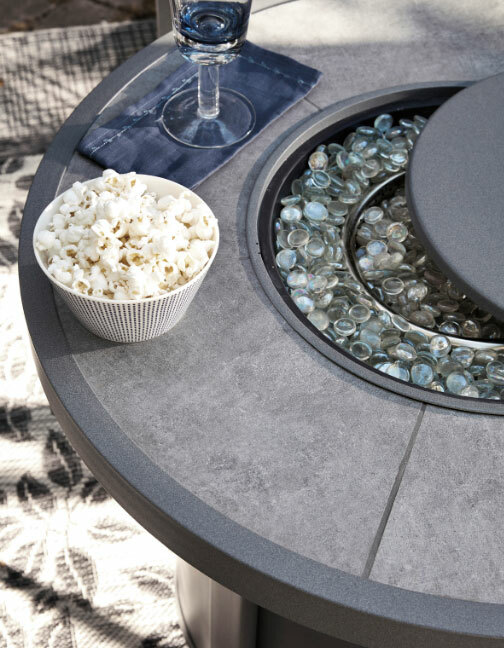 Chair feature swivel rocker and round fire pit includes grouted porcelain top, glass beads, CSA approved 40,000 BTU stainless steel burner, burner cover and protective weather cover. Fire pit also can be converted for natural gas use. Chair: All weather rust proof aluminum frames with textured gray finish, Nuvella Fabric covering all weather foam cushion core wrapped in soft polyester.